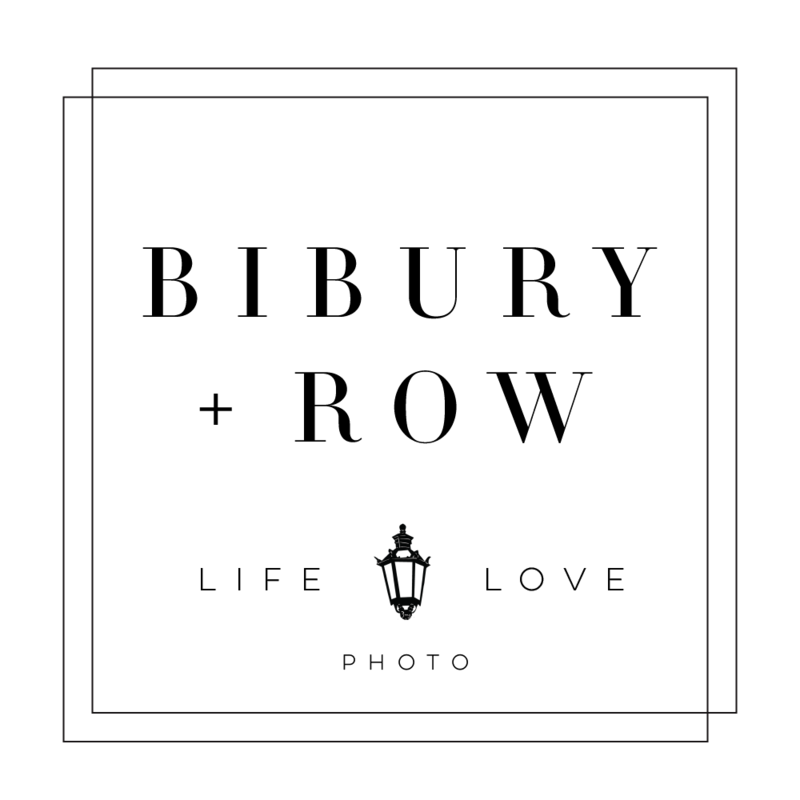 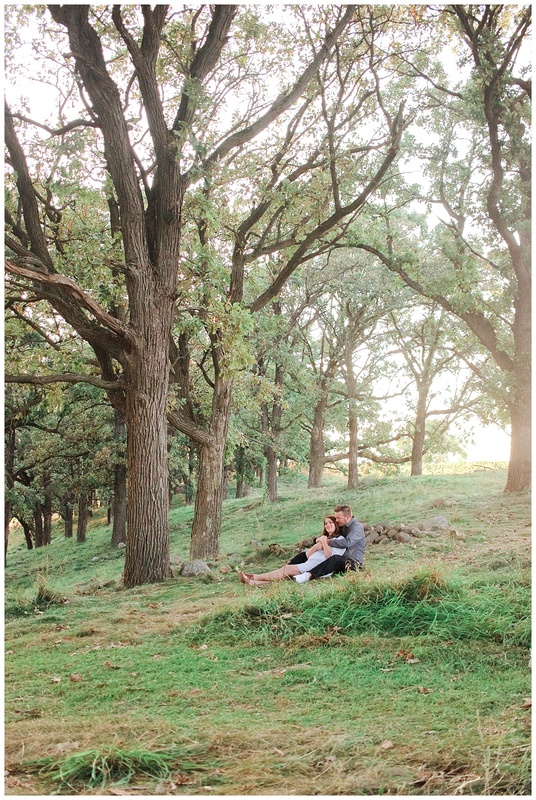 The last few weeks of August are always a mixture of lazy summer days and (anxiously) anticipating the oncoming of September. 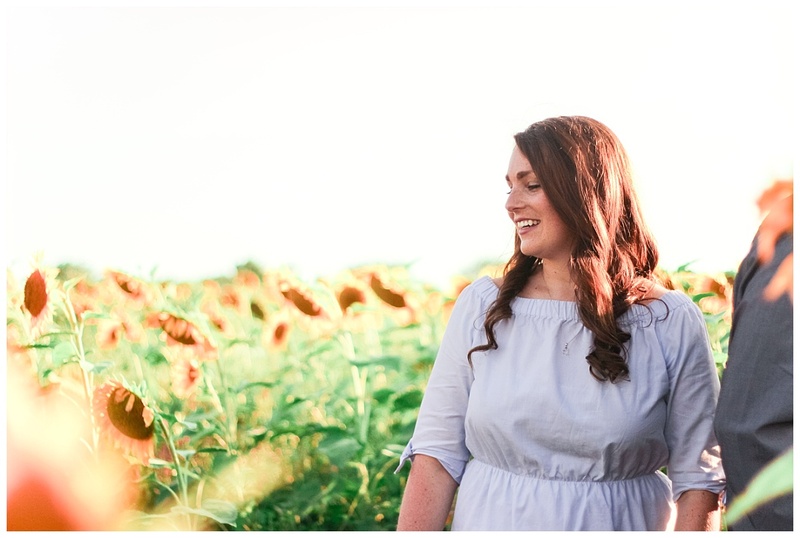 To me, it feels like everything slows down just a bit to enjoy the last *real* days of summer – because let’s be honest, I don’t care what the calendar says, September 1st is fall to me! 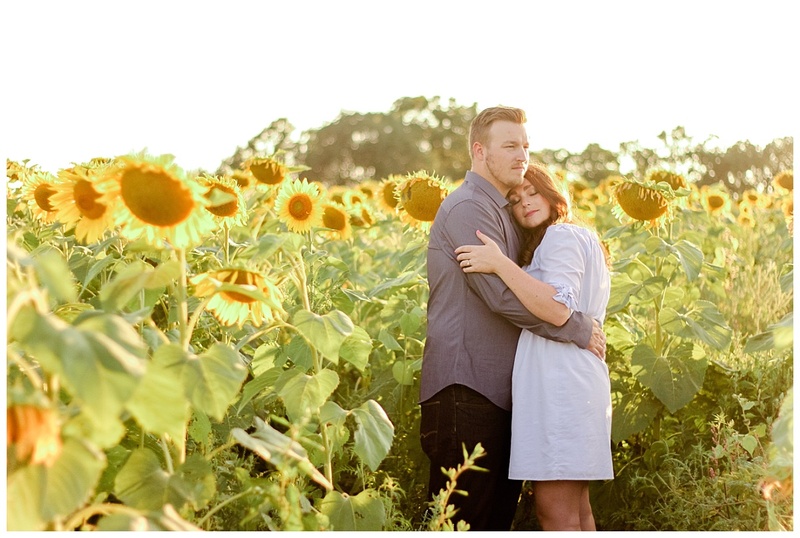 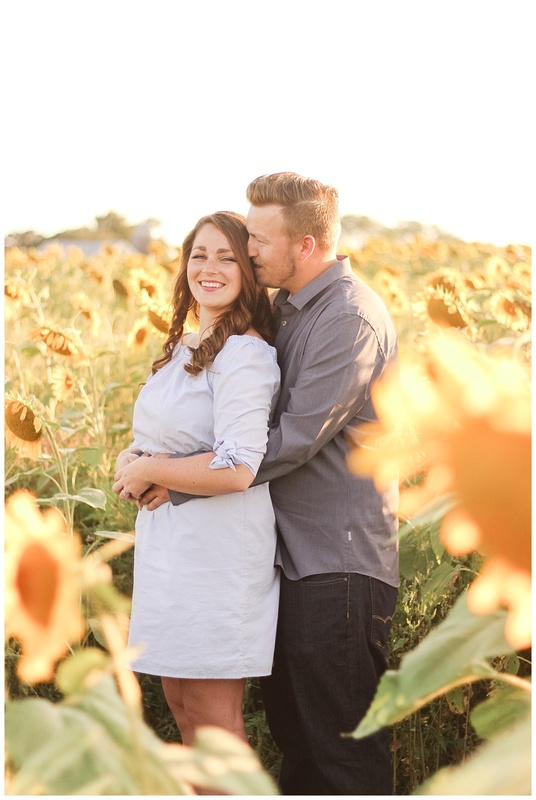 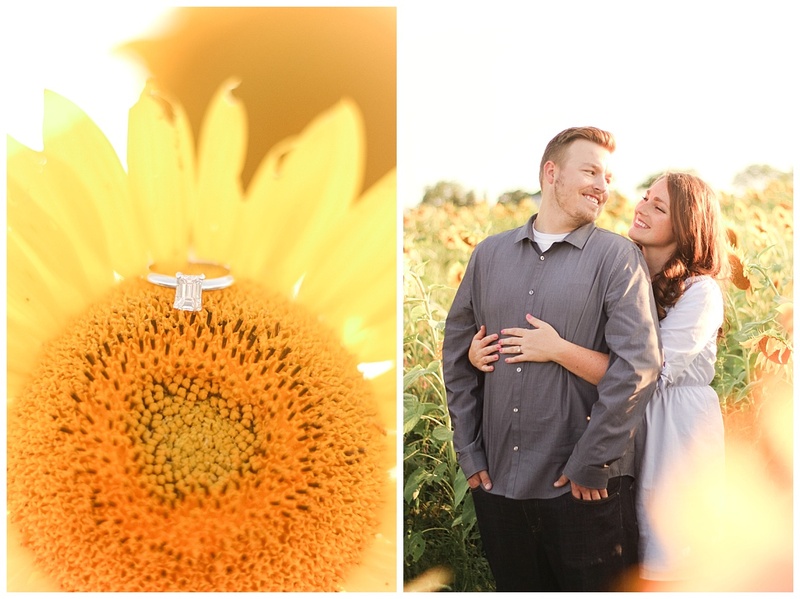 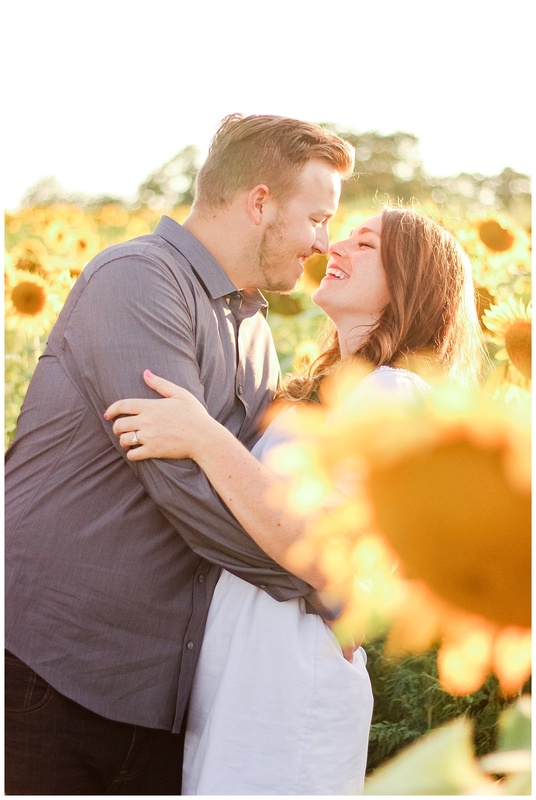 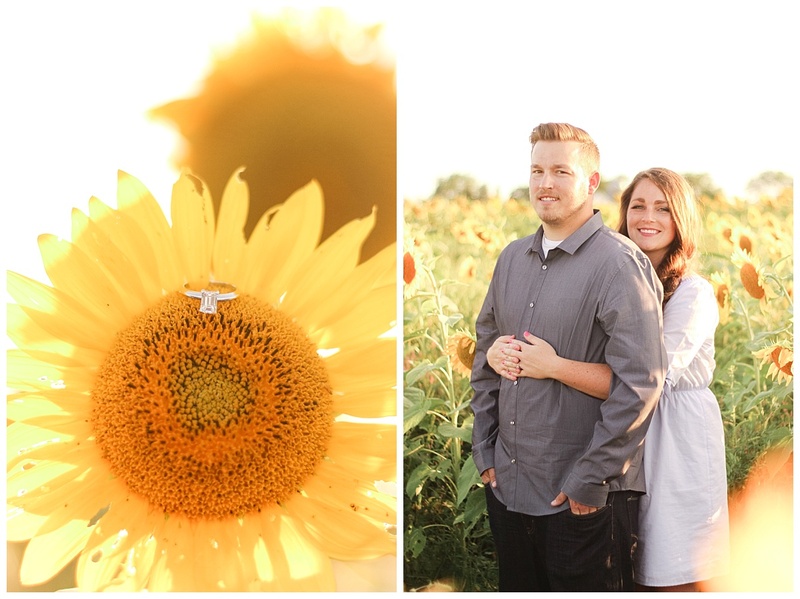 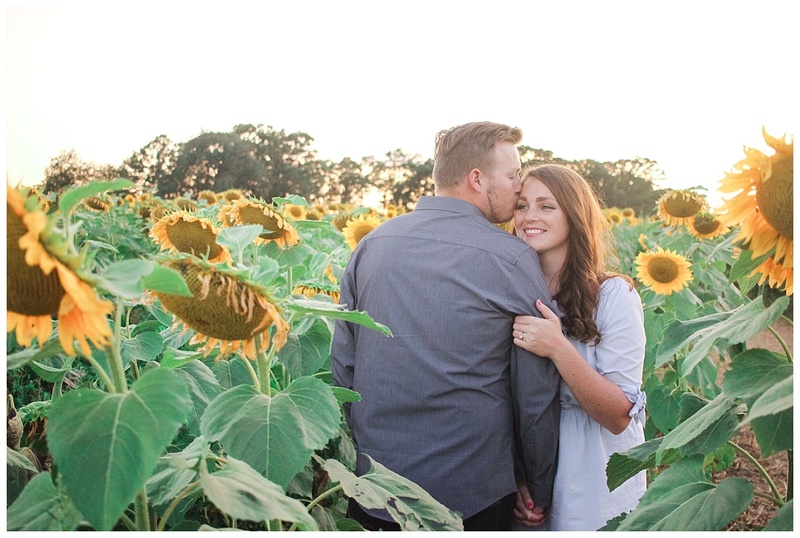 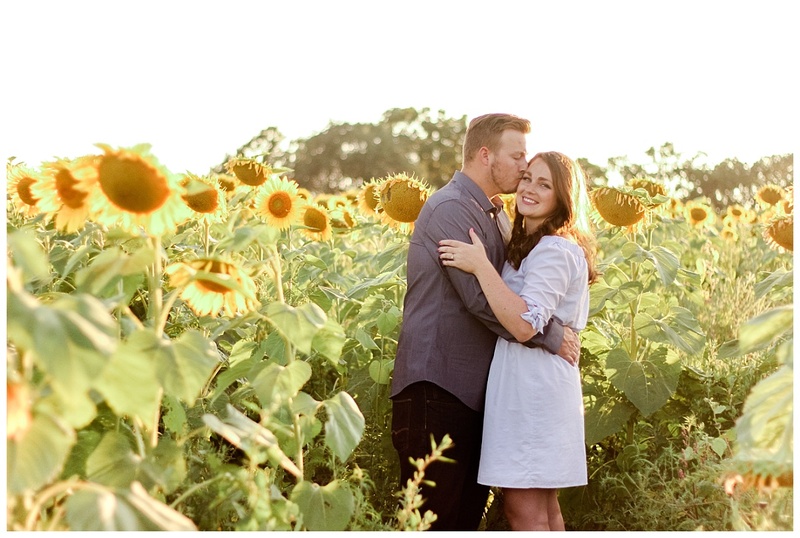 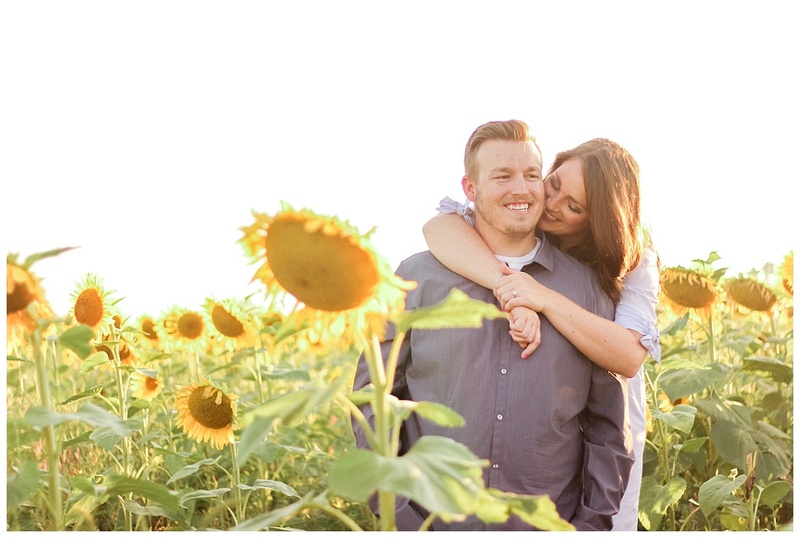 Naturally, I was super excited to end the summer on a high note with Briana and Jacob’s sunflower field engagement session. 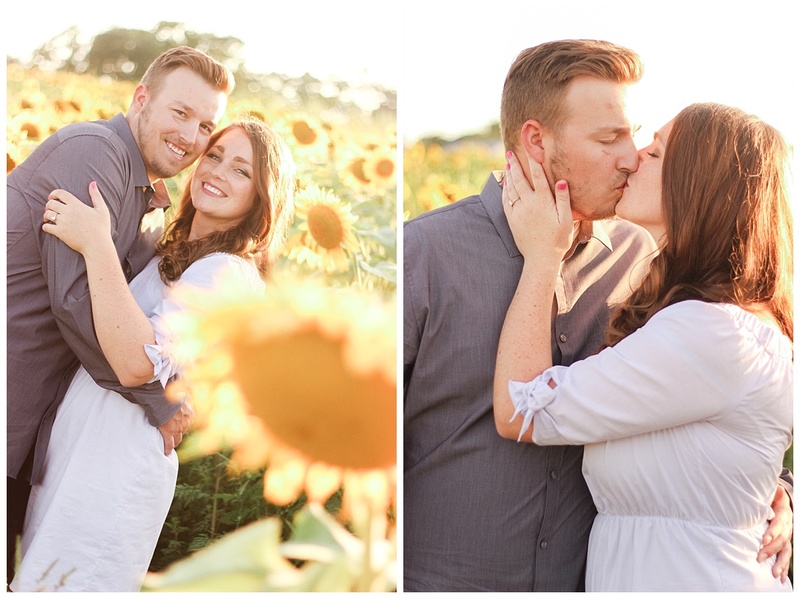 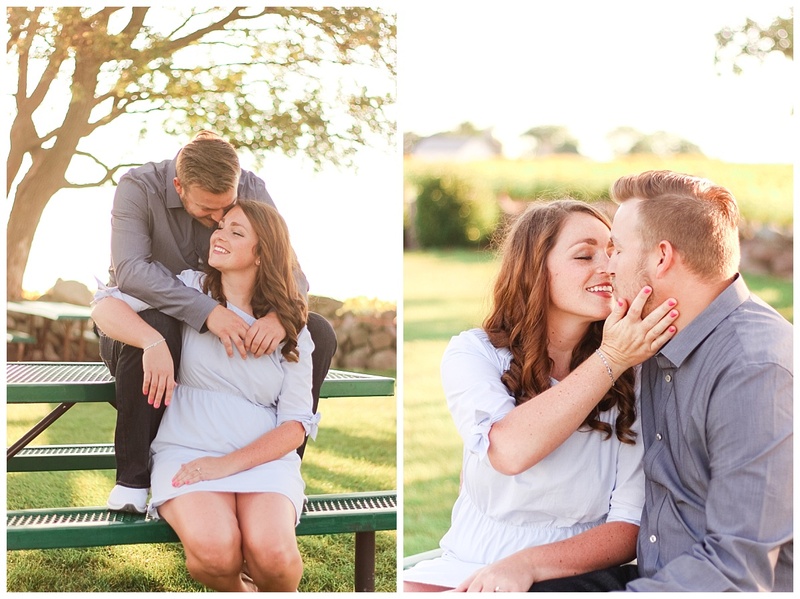 These two were the lucky winners of my summer giveaway, and I’m thrilled to have worked with them! 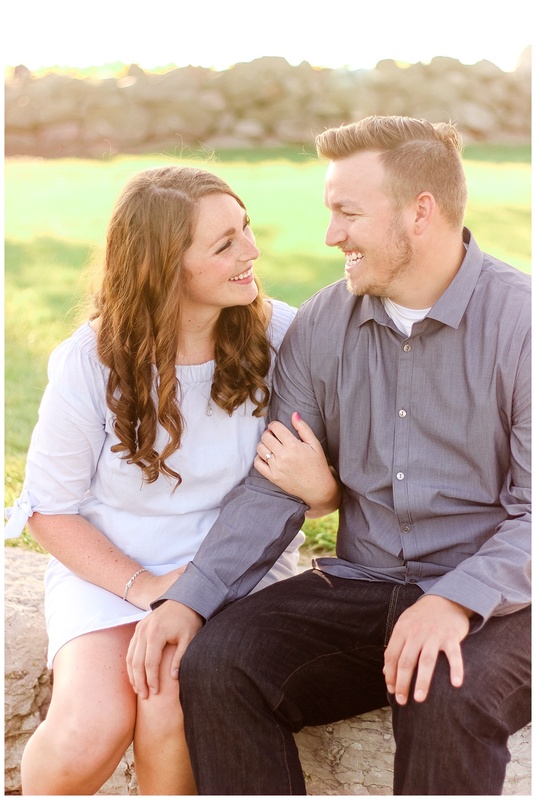 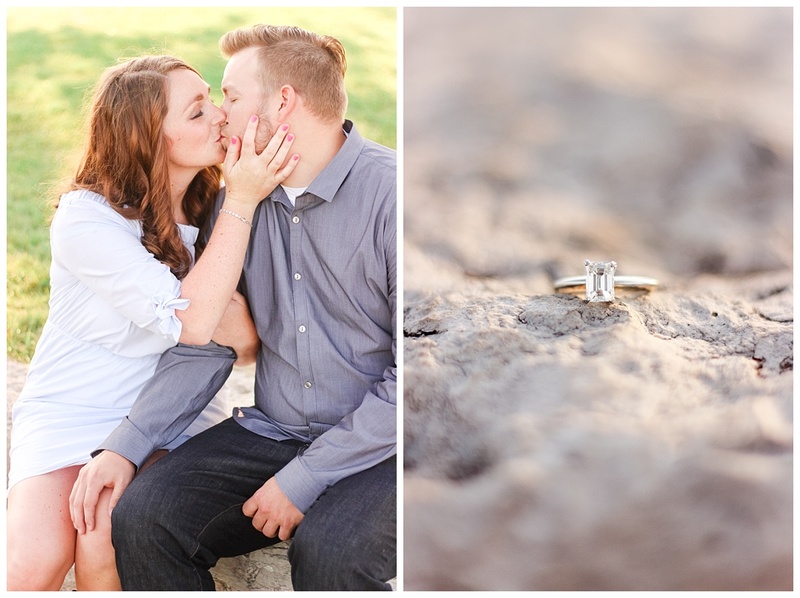 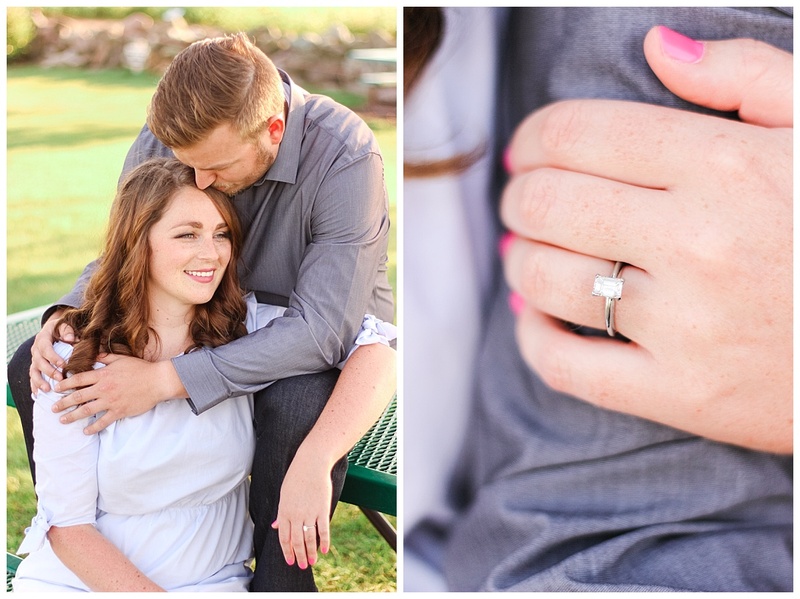 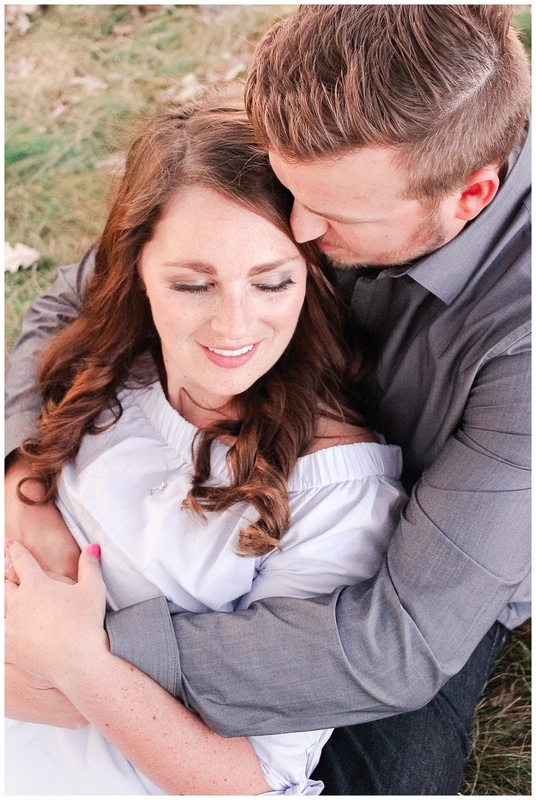 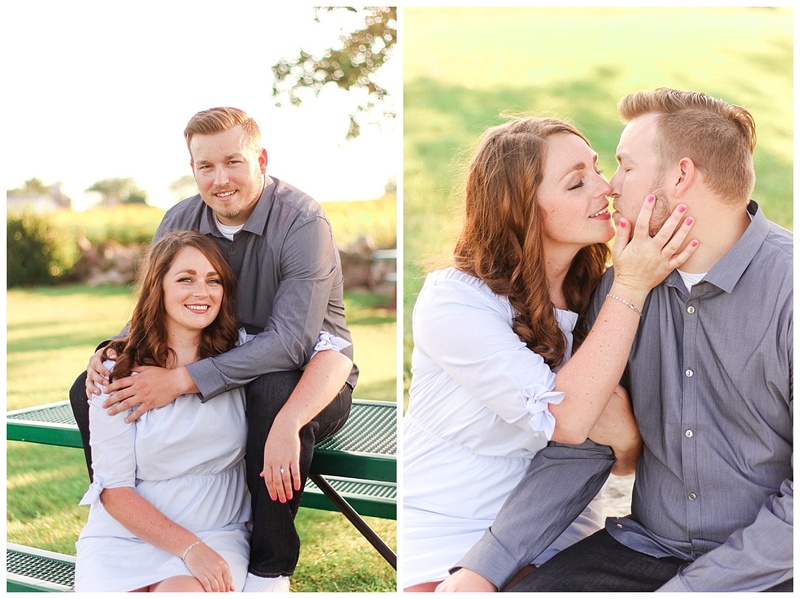 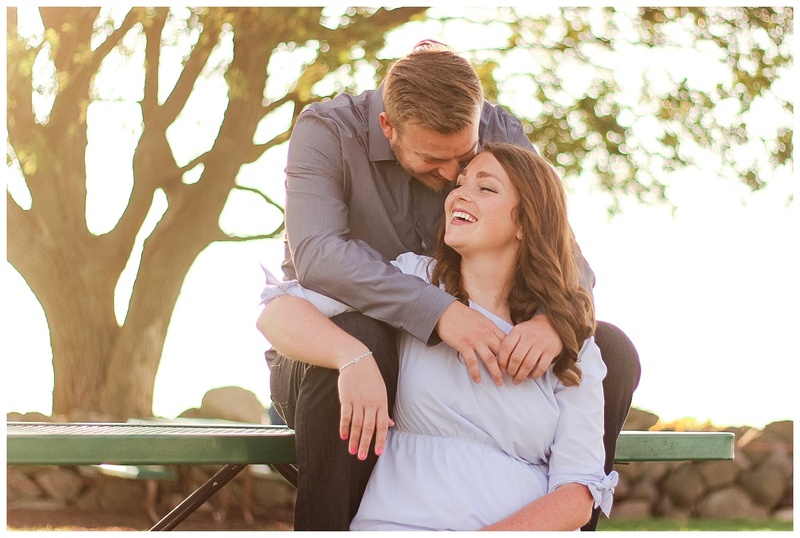 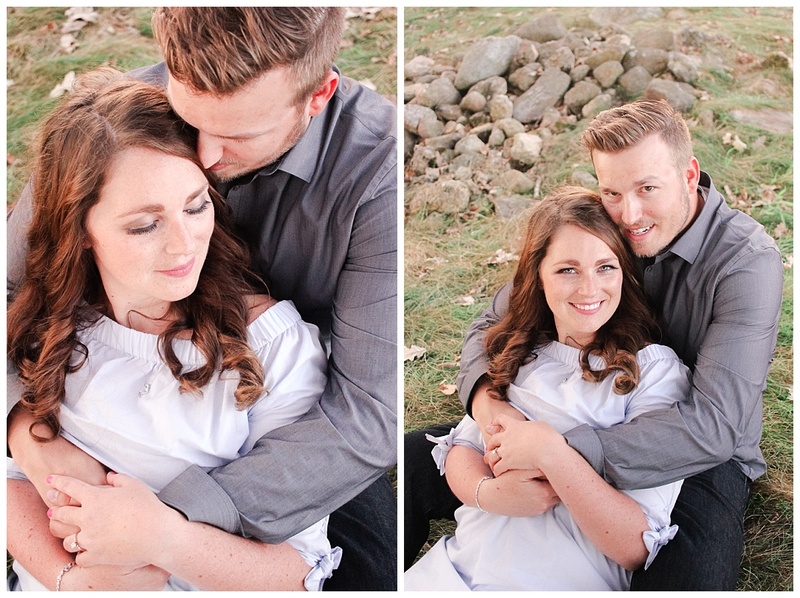 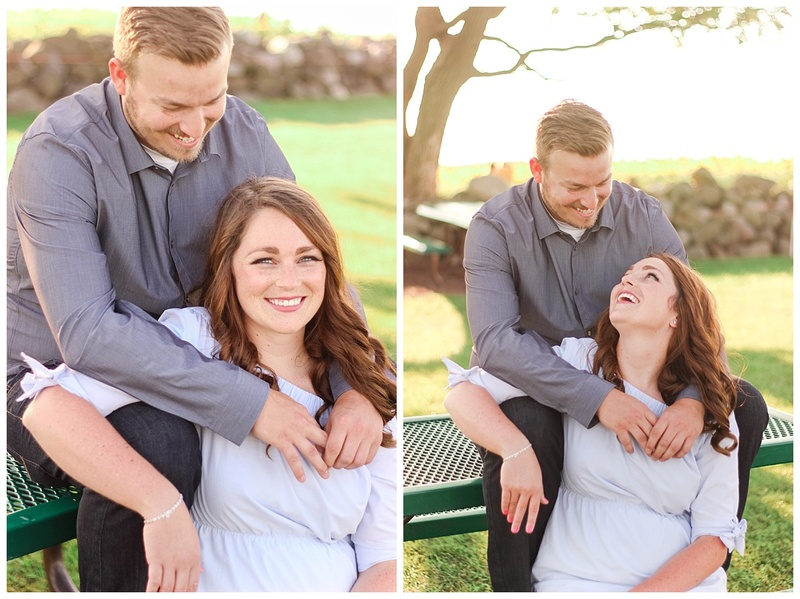 Bri and Jacob are adorable together, and they’ve been engaged since January when Jacob proposed during a trip to Mexico (#fiancegoals). 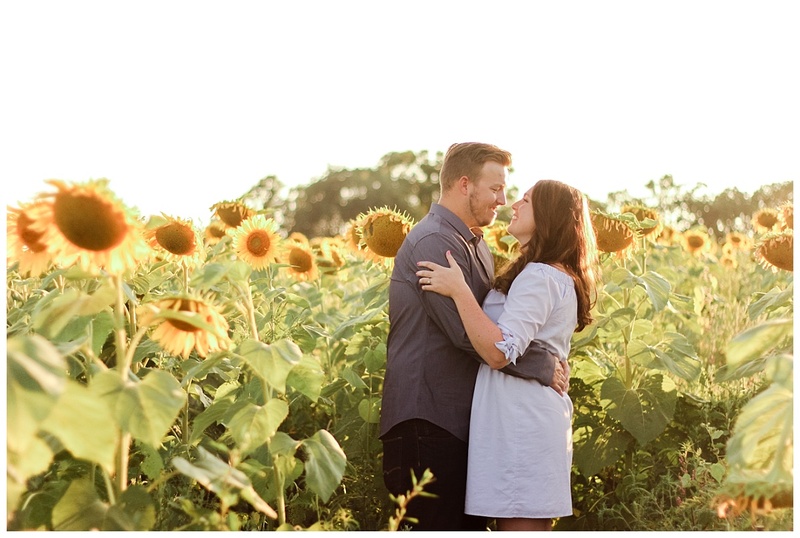 When Bri mentioned that Pope Farm Conservancy in Middleton was having their Sunflower Days festival mid-August, I was instantly excited but a bit nervous to hit the crowds. 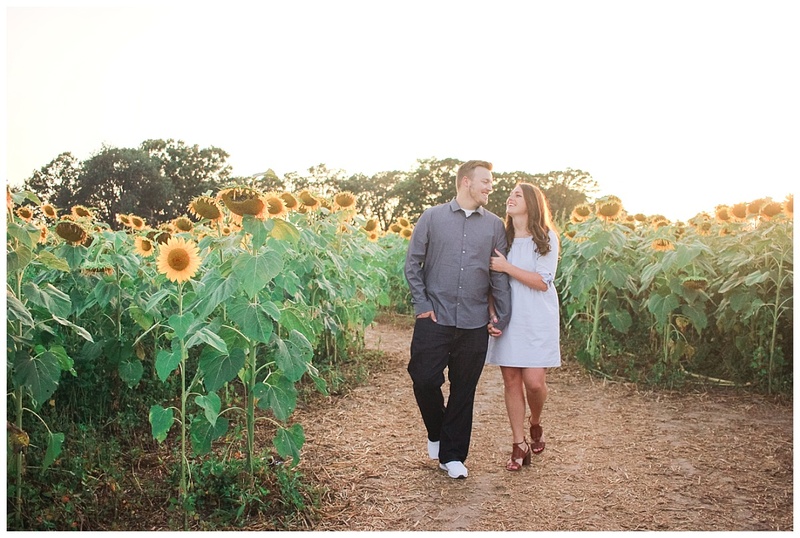 Did you know that people drive from all over, even out of state, to participate in Sunflower Days? 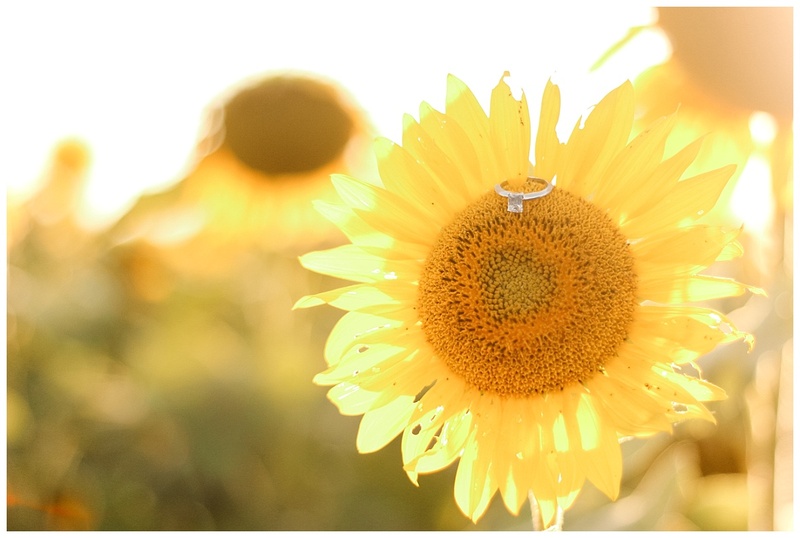 I had no clue! 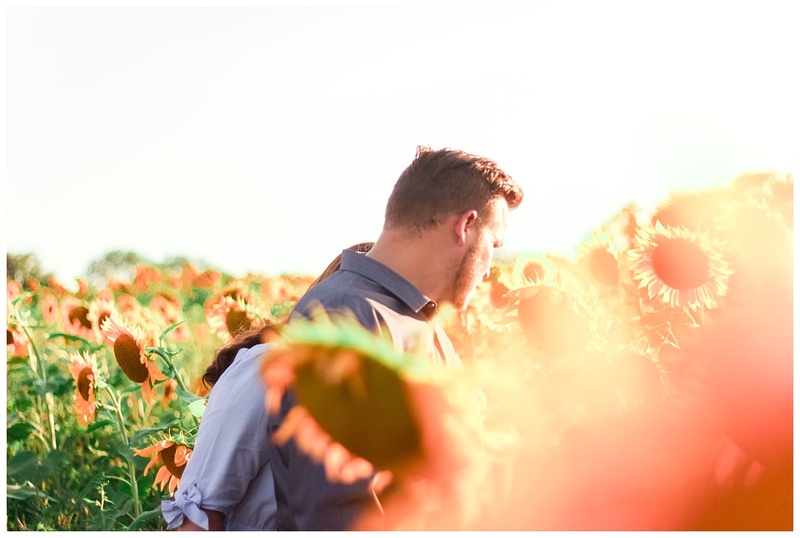 We took our chances and decided to wait a few days after the end of the festival, hoping there would still be some perky flowers left in the fields, and we weren’t disappointed! 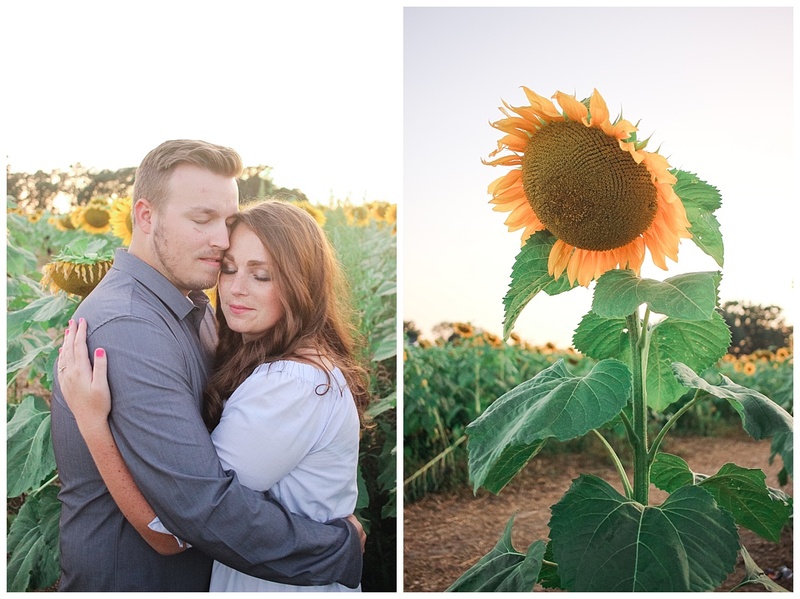 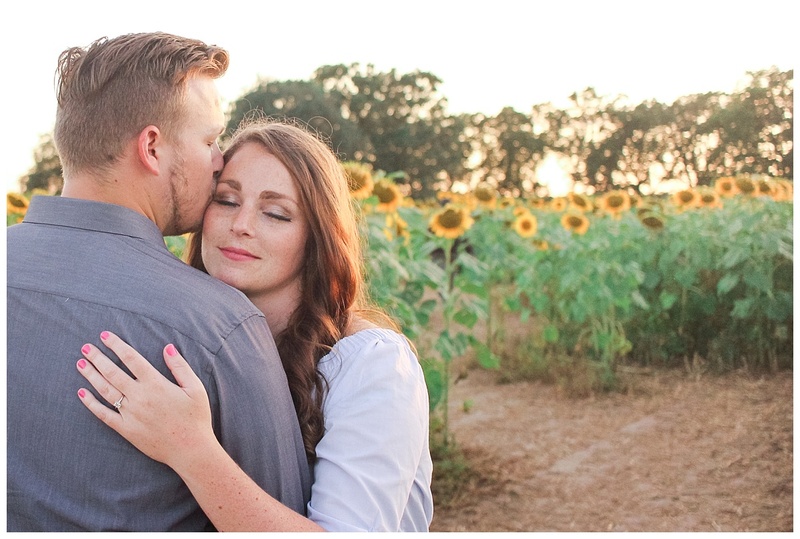 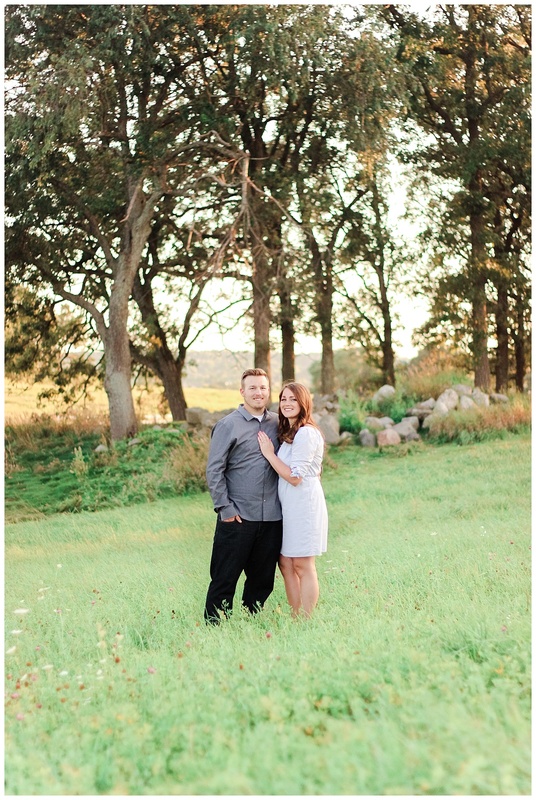 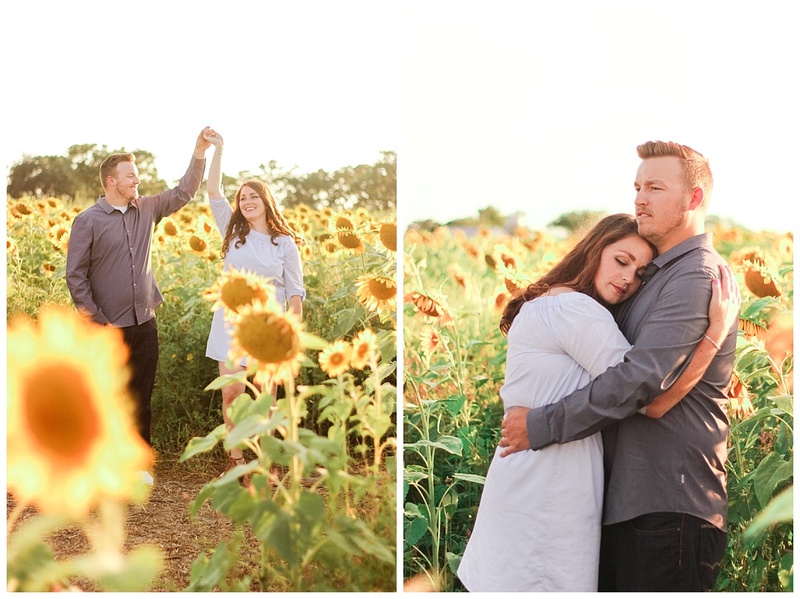 We ended up with a beautiful, serene evening filled with fields of sunflowers, rolling hills and gravel roads. 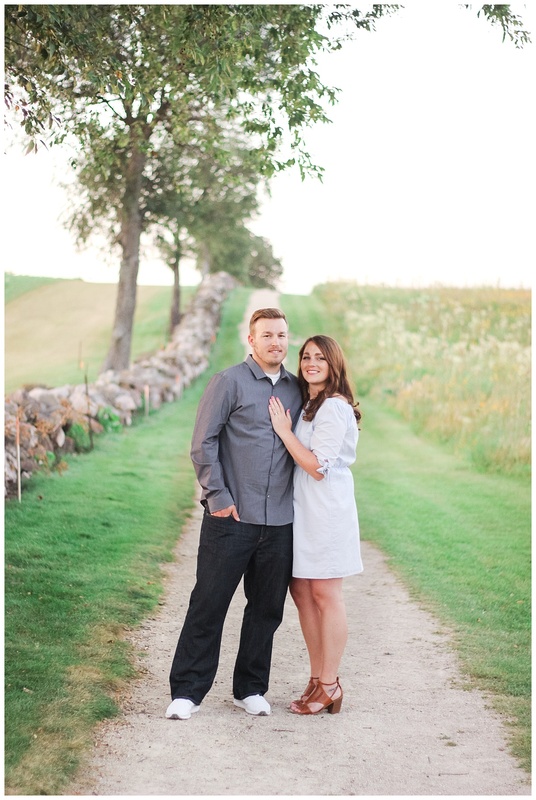 The walking paths along the countryside of Pope Farm are seriously gorgeous! 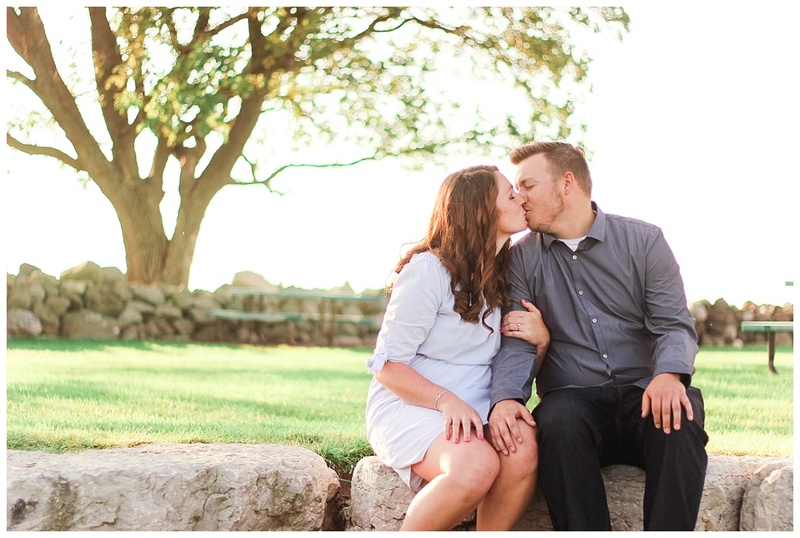 The entire evening was the perfect setting to showcase their love – and yes, they really are this cute and happy in real life!